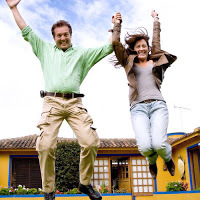 $8,000 1st Time Home Buyer Credit Extended and Expanded! In addition to extending the $8,000 first-time homebuyer tax credit, the new law also allows a $6,500 credit for repeat or move-up homebuyers who have lived in their primary residence for five years or more. The credits are available to buyers who sign purchase agreements on a new or existing primary residence between December 1, 2009, and April 30, 2010. Buyers have until June 30 to close on their new homes. There is an $800,000 price max to qualify for the tax credit. The income limits for buyers was also raised and are now $125,000 per year for individuals and $225,000 for married couples. Under the old program, the limits were $75,000 and $150,000 respectively. The first-time homebuyer credit is also available to those who have not owned a home in the previous three years. The credit does not have to be repaid unless the home is sold or ceases to be the primary residence within three years. For more information or any questions, please contact an agent at Terrier Residential.